tangled up in a pool of yellow salts. It hasn’t rained in too long. 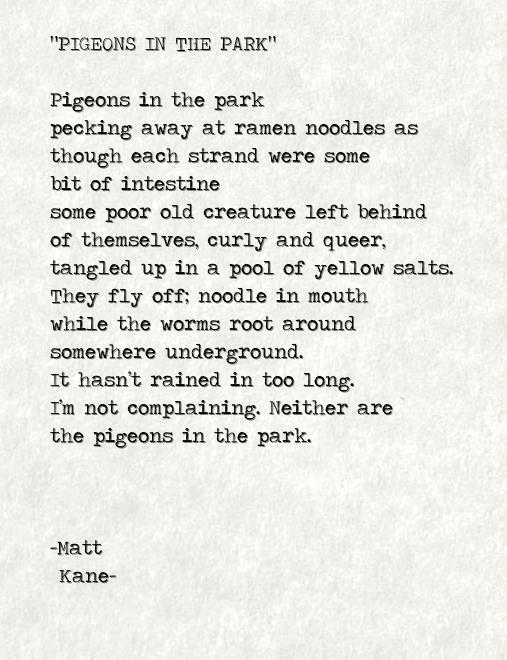 the pigeons in the park.